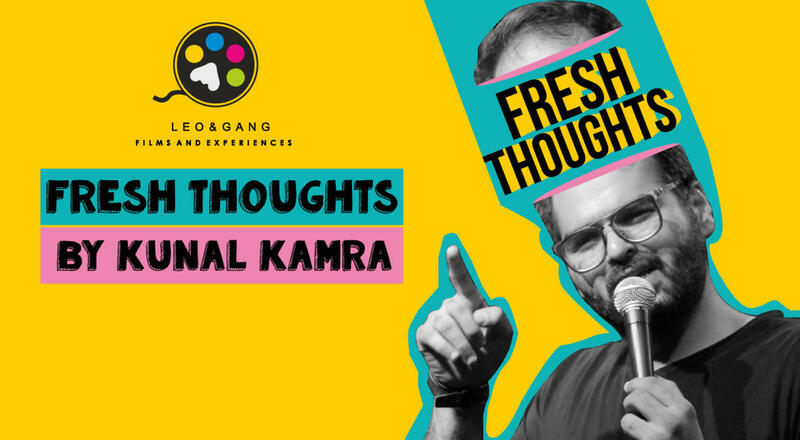 Book tickets to Kunal Kamra : Fresh Thoughts! Kunal Kamra : Fresh Thoughts! Kunal Kamra's fresh thoughts give you sneak peek at some of his new jokes which eventually create madness on social media. Come over, so you can talk about your experience with your friends, way before they can see it. An advertising junkie by day and comedy man by night, Kunal Kamra has been leading a double life for close to five years now. The comedian once said in an interview, “On stage, I do not believe in drawing a line — that’s reserved for jokes that are unfunny,” a statement true to his style of comedy. His humor channels his unfiltered thoughts and his speeding thinking process points towards the absurdities of life, making him produce one great set after another. The comedian started performing professionally in 2013, with his first ever show at the glorious blueFrog, Mumbai (RIP). The comedian is now a regular at the all the big comedy venues in the country, and has a dedicated fan following (despite him tasing them at this live shows with his witty barbs). His recent show Punchliners presents his jaded view on advertising life, thanks to being overworked and underpaid.